Imagine a conditional, but typical situation, often prevalent in our world: you caught your child on the use or possession of drugs. How could this happen? At first glance, and educate the child diligently, and he does not spend time on the street in questionable companies. But, of course, he does not stay at home all day.It turns out that drugs were bought online. And the Internet is too convenient for such tasks. If you think that the case is single, it is not so. Those responsible for the distribution of drugs are considering the verified mechanisms of trading the potion and the ‘industry’ is working in the new field without interruptions, stably and on a large scale. We will briefly describe what it is about. Let’s take, for example, the potential of ultra-popular social networks, such as Snapchat and Instagram. There is function of disappearing messages. One user sent a text to another, he read it and the message ceased to exist after a short time. Encryption of data in the system is designed to exclude tracking. In theory, the sender cannot be identified. Also there is an opportunity to freely impose communication to people who are not on the list of friends in the above social networks. These factors are also used by online dealers. Having freely contacted any schoolchildren and ‘convincing’ them, they quickly sell the drugs. Then chat history (proof of crime) is erased. So dealers remain ‘clean’, and this modern know-how makes their hard work (in the past) much more convenient. In addition, the audience of social networks is colossal, it is not necessary to look for the target audience. Snap Maps function in Snapchat allows finding all its users nearby and making an offer immediately. Statistics show that today, that there are every 3 out of 4 drug sales to schoolchildren and young people through social networks in Britain, and this ‘job’ brings the average dealer thousands of pounds a day. The journalist tried to order drugs as an experiment. On the question of how much to wait, she was informed that the dealer can deliver the goods almost immediately. So, business is booming. To find a dealer in an Instagram or a Snapchat, you need to pay attention to emoji. There are entire sign systems which makes the trade more simple and fast. And, as a consequence, large-scale. Available markers are quite universal and allow even more to speed up the exchange of the necessary information between the seller and the buyer. A significant problem is that the administration of social networks declares the existence of a problem on a large scale, and the process stops there. They have not taken serious steps for a long time to develop mechanisms for checking and blocking suspicious accounts. 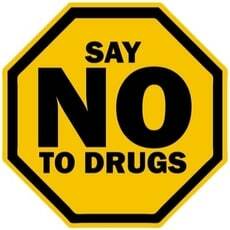 Social networks distances their brands from such activities, they are asked to send out messages when there are suspicions and pointlessly state from time to time that drugs are a problem of society, not of the Internet. Convenient spineless position, as you can understand. And at the same time, every 3 out of 4 schoolchildren in the United Kingdom use Snapchat. Most of them visit it every day. And after the journalist’s request for manual verification of three random but obviously suspicious accounts, after 3 days none of them was blocked. This is the current situation. It is clear that the delivery of drugs to the country from abroad is a work of specialized crime syndicates. But the usual “street” online dealers of final sale are the same schoolchildren who also go to school. And they earn unprecedented for their small age money in their free time. Many of them belong to absolutely safe families. For example, the first appeared dealer in the investigation of the journalist was a 15-year-old boy from a nearby school. As it turned out during the agreed meeting at the railway station, he came straight from the lessons in school uniform. He quietly lives with his mother and told her that he was late for playing football. 7 MDMA tablets (Ecstasy) cost 50 pounds. Then the investigation led her to another 16-year-old guy who admitted that he earned 300 pounds a day. It helps him to live the life he wants. He can dress fashionable, live a beautiful life and so on. On the question of whether the consequences of the “work” do not suffer, the guy shrinks, but still answers. From his words, this is an honest exchange. Other children want drugs, he wants best life. And it’s not his fault that they want this stuff. So, crime can be where we do not search for it. But it should be done more often. Let us return to the particular situation from the very beginning. After the first shock has passed, it is necessary to understand what constructive steps need to be taken to solve this serious problem. What is the first decision the parent wants to take in this situation? Of course, completely “chop off” the Internet for kids to push back the problem as far as possible. But this is the wrong way. First, for a modern child, such a radical restriction is a blow to social life, because now everything is tied to communication through popular social networks. A rigid ban will cause strong opposition for the other side of barricades. And this can only aggravate the situation, worsening the relationship between the parent and the child as much as possible. And this means that it is important to work more subtly, without anchoring in the personal space of the growing future member of society. At this age they perceive the impact too sharply, up to the subsequent complete alienation or opposition to norms. Educational discussions have not been canceled, but to ensure the safety of the child, it is worth keeping his personal information under supervision. Do not interfere directly, but watch out all the time. The way out of the situation is to use Parental Control App. These programs allow you to get distant control of Instagram or Snapchat data from the special account (your child’s one). You will see everything that is encrypted, despite the protective protocols of social networks and the system of self-destructing messages. Nothing is lost without a trace. In such an easy way your child can engage in his normal social activities, and you will be able to prevent trouble and block it in the bud at the same time. In conclusion, we bring to your attention several tested applications in this category. Make your choice, install, try and be calm for the health of your children. If you are in doubt about this decision, think again about the possible consequences and how you can get rid of annoying restless feelings. You do not interfere in the private life of your beloved child, but protect him from possible ills. This is a specialized surveillance application for total parental control. A great advantage of the product is an integrated approach to monitoring social networks. It is obvious that the child is present and communicates not only in one social network from a number of popular ones. mSpy allows you to see, for example, messages as they arrive in real-time in snapshot, along with multimedia files and recording of calls. All this is available for mobile operator services, as well as WhatsApp, Snapchat etc. This is a simple and reliable means for surveillance. And this is the choice of parents who are not understand modern technologies to the full and do not want to seek to understand a number of functions for tracking in different modes. The application allows you to keep the information open, make real-time snap monitoring 24/7 and that’s all you need. This snap spy allows you to open and collect any data taken from the Snapchat. It interacts easily with all popular operating systems.